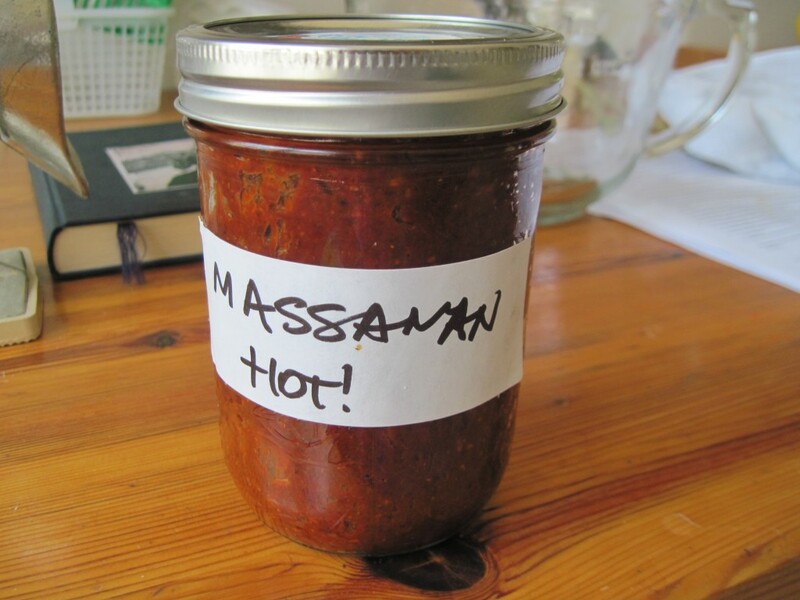 This rich, mild (or hot, if you choose to add wild chilies) curry paste gets its name from the Muslim people of southern Thailand. Its exotic perfume comes from sweetly fragrant spices such as cloves, cardamom and cinnamon. Thai cooks use this paste in hearty stew-like dishes and as the principal ingredient of Curried Peanut Satay Sauce, the dipping sauce for grilled satays. You need a blender; a large heavy mortar is also recommended, but I imagine one could cheat with blender only. 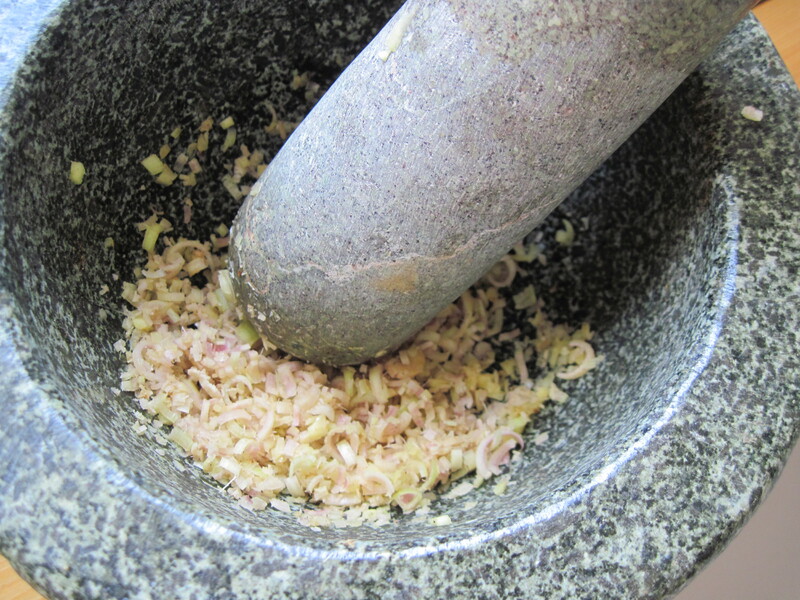 The presence of shrimp paste is a shock to novice oriental food preparers: it stinks terribly – but the stench does go away in process, and the result is worth the suffering. 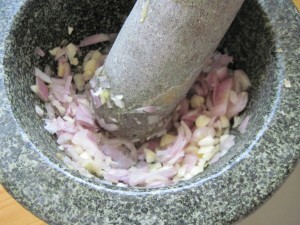 Set up below makes solid 500 ml – more than enough for about 4 portions of Curried Peanut Satay Sauce. My advice is to make a double batch in the summer with all the windows open – and store it in the fridge (cut the misery and have the paste ready on demand). 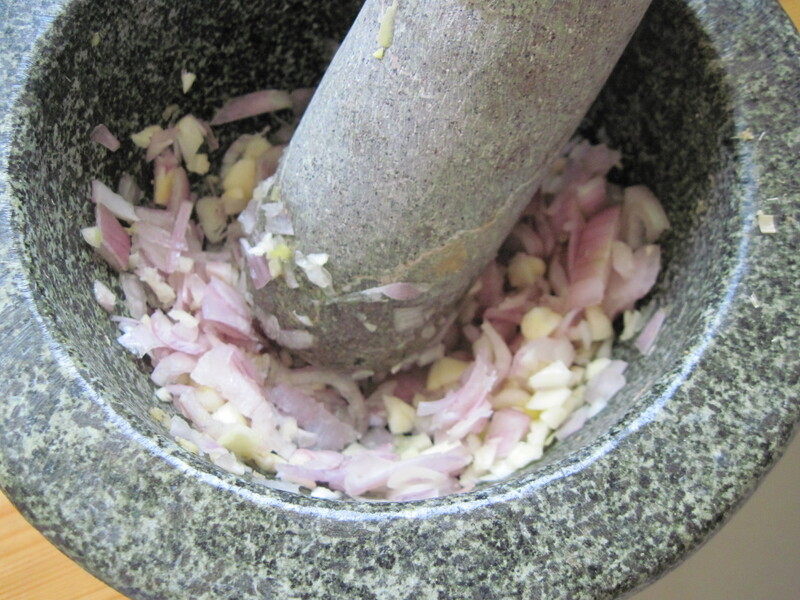 But then you must be somewhat loyal to Thai Cuisine ..
Cut them crosswise into 3/4″ pieces and put them in a bowl. 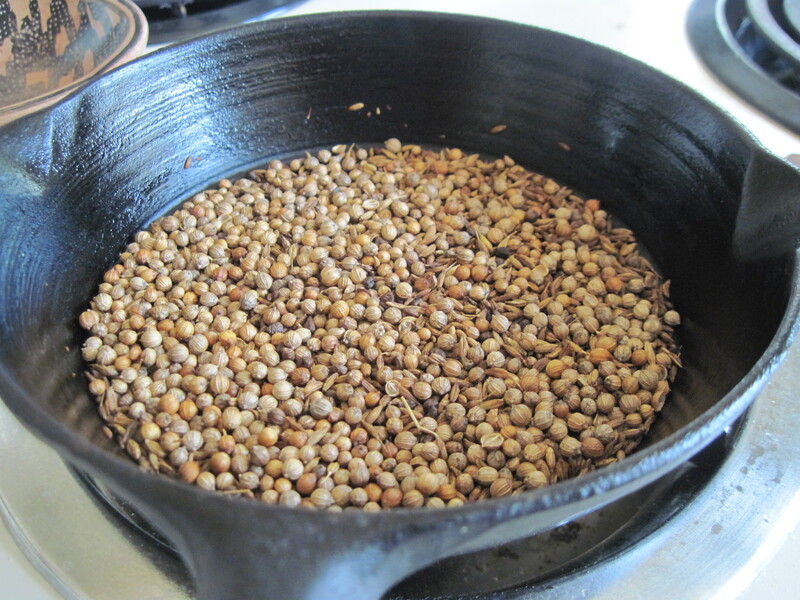 Meanwhile, combine the cardamom, cumin, and coriander seeds in a small skillet. 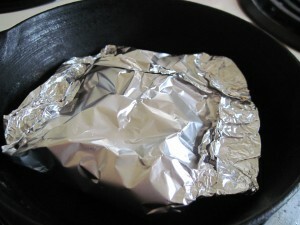 Dry-roast the spices over medium heat for 3 to 5 minutes, until toasty and aromatic, shaking the pan often to prevent burning. 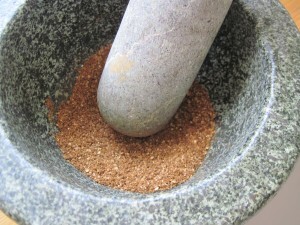 Transfer the spices to a small bowl and set aside to cool. Remove the packet from the skillet and set it aside to cool. Combine the peppercorns, cloves, cinnamon, and the roasted spices in a large heavy mortar and grind to a powder. Transfer the ground spices to the bowl of a food processor fitted with a metal blade. Put the lemon grass and ginger in the mortar and pound for a few minutes to break down the fibers. 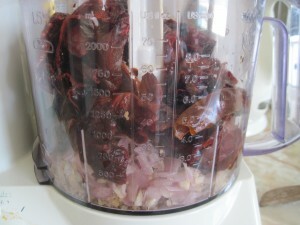 Add the chillies to the food processor. 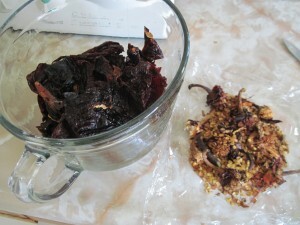 Add a few tablespoons of the chilly-soaking liquid now and then, if needed, to ease the grinding. This paste can be stored in an airtight container in the refrigerator for 2 months, or in the freezer for up to 3 months.